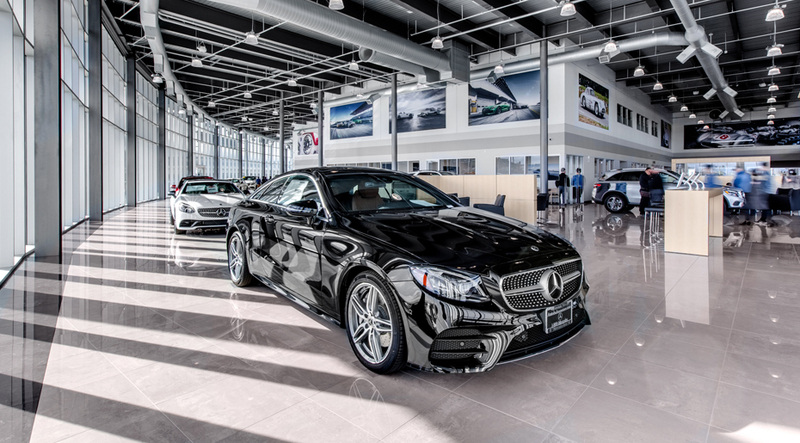 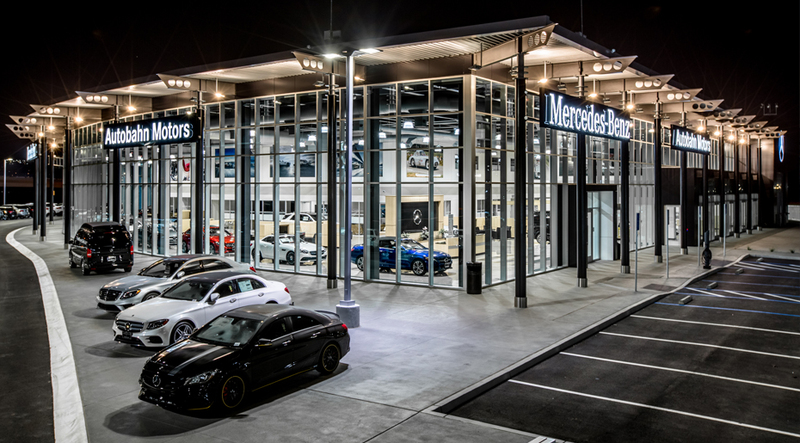 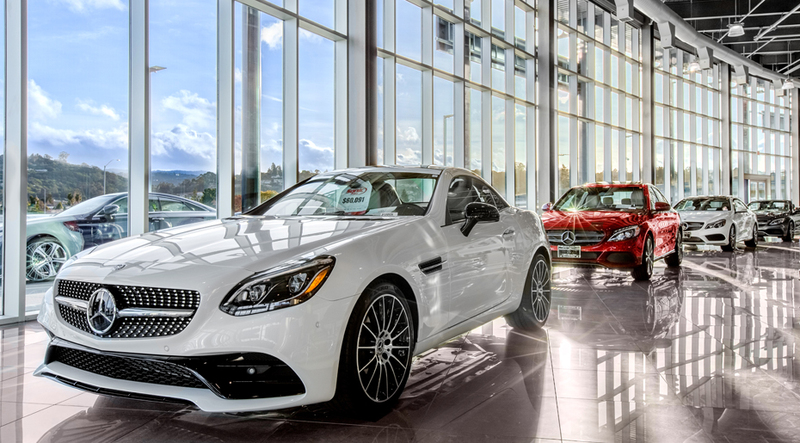 The Mercedes-Benz Autobahn dealership is located just outside of San Francisco in California’s popular Bay Area. 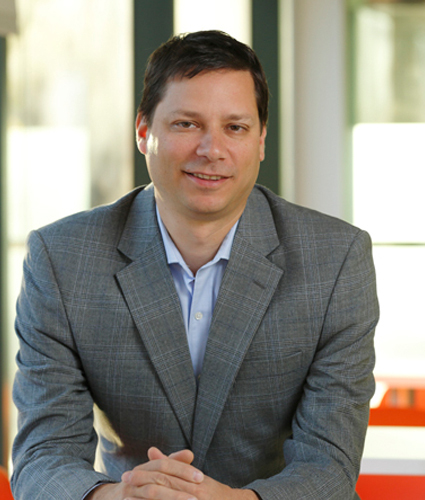 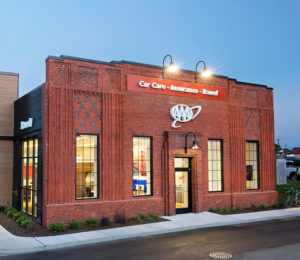 The existing structure was tired and required an entirely new design. 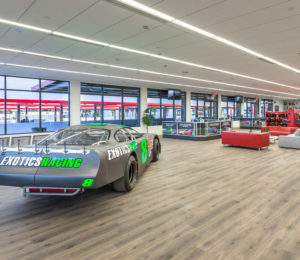 The new building features floor to ceiling glass curtain walls along three exterior walls. 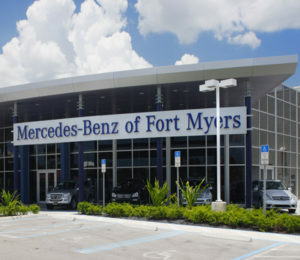 The views take advantage of the dealership’s prime location along a main highway. 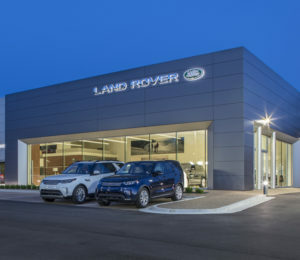 Day or night, drivers can see into the building and the activity happening inside. 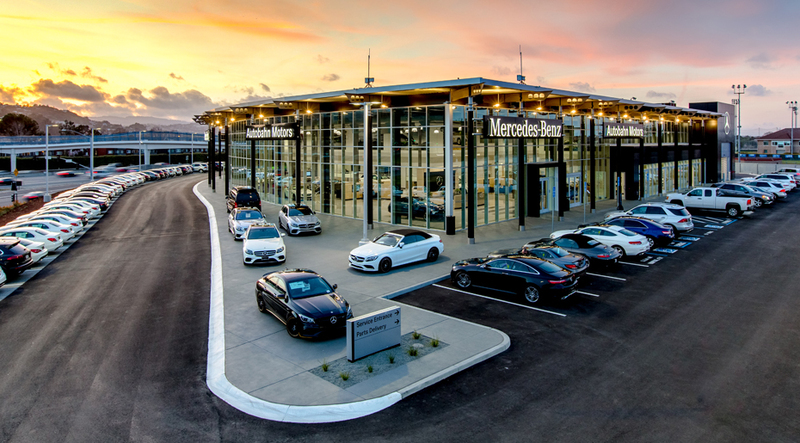 The building’s design reflects the transparent values of Sonic Automotive and the high-end promise of Mercedes-Benz. 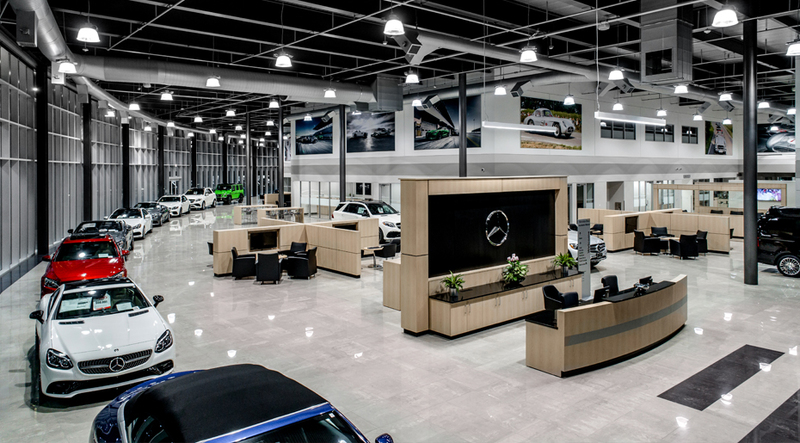 A number of consultation areas are located throughout the floor instead of in enclosed office spaces. 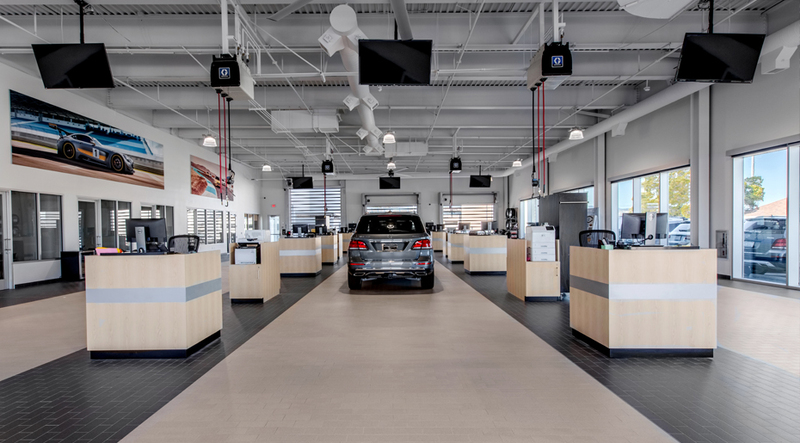 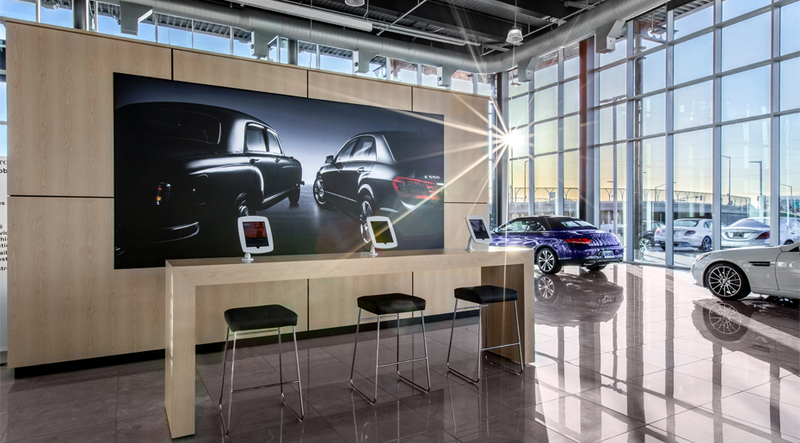 The 24-foot high showroom features cafe-style spaces for customers to sit and plug-in during vehicle service or shopping visits. 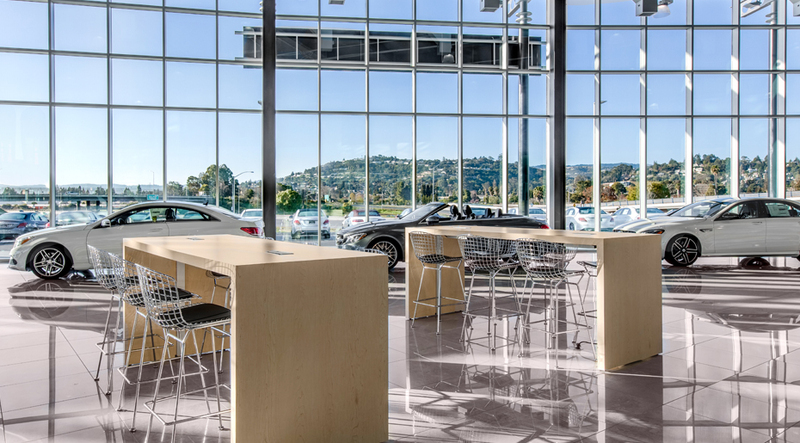 The cafes have become a destination for many customers. 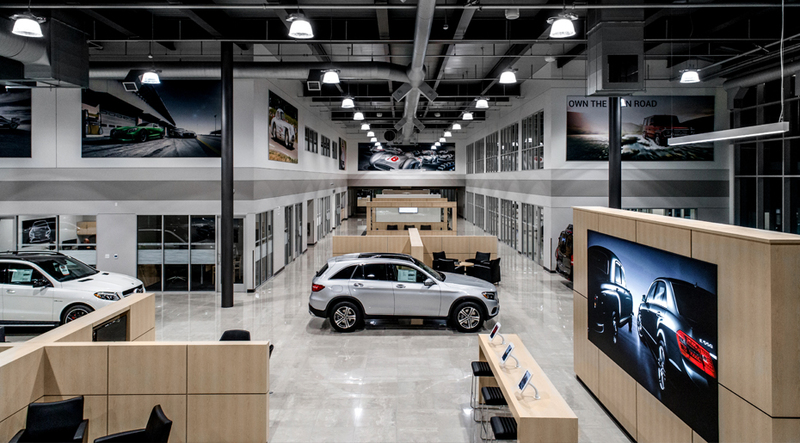 Office space, an on-site service bay, and small sales boutique complete the space. 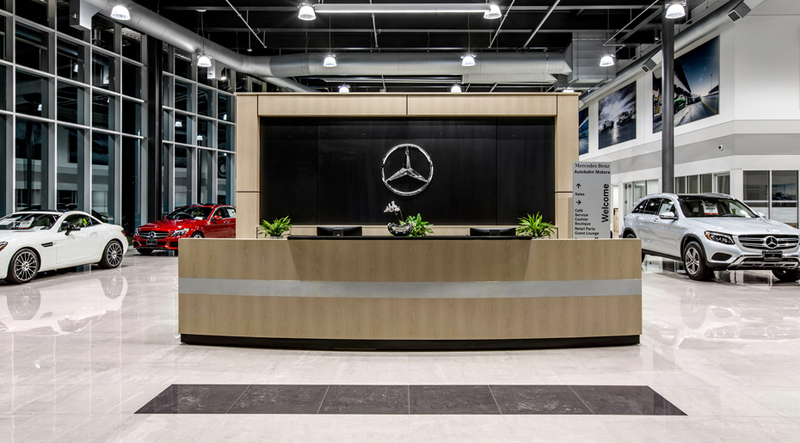 In addition to design, Progressive AE helped Mercedes-Benz Autobahn through an “activation” phase that included preparation of the building and training staff for the transition from construction to the operation of the store.